Someone had a meltdown today. It was this persons quarterly freak out. I will give you three guesses as to who lost their stuff today; the first two guesses don’t count. Big? you ask. Nope. He’s been the picture of composure lately. WeeOne. Nuh-unh. He’s doing just fine unless he thinks you’ve turned the PlayStation off without saving. Daddy? Nah. He’s calm, cool and collected. That leaves one person who lives in this house. Me. That’s right me. I freaked out. Big time. At lunch. Sitting at the table with my husband, I wept and cried and melted down about a sofa. On the surface that seems like such a shallow thing to melt down about. But our sofa is old. And Dingy. And sagging. And the springs are all poky. And every time I sit on our old, dingy, sagging, poky sofa I think about how now’s not the time for a new one. It pisses me off. There I said it. It makes me mad. We are a hardworking, middle class family. My husband works at a demanding job so that I can stay home, work part time at a preschool two days a week, and be available to take our kids to appointments or be home when they are sick or off during the summer. Most days, i wouldn’t trade this scenario for any amount of money in the world. But, about once a quarter, I freak out. I don’t want lots of ostentatious things. I don’t need diamond earrings or an elegant watch. We have two cars with no car payments, a mortgage for our land, but not our house; we have a tractor payment, but carry over no credit card debt. But a sofa. I have my eye on a new sofa. I’ve had my eye on that couch for several years. I could easily talk myself down from a new sofa when the boys were babies and toddlers and generally gross human beings, but it’s getting harder and harder. I mean, the four of us barely fit on our sofa. This year we managed to do something really smart. We were able to put money in to our health savings account. Can I just say, that simple little act may have saved our marriage. The beginning of the year is always so stressful with the pharmacy and prescriptions not giving a damn if you have a new deductible or not. FYI nearly $900 in January for medications is anxiety producing. I’m proud of us for avoiding that discussion at the end of this month when it comes time to pay the bills. Score one for us. But, still, where’s the couch fund? We don’t have cable; I don’t get my hair and nails done at a lavish salon. We don’t eat out often, and we don’t buy expensive clothes. Target is our fancy store. We don’t take elaborate vacations, even though one day I’d like to be able to comfortably take our kids across state lines. We don’t send our kids to expensive private schools, buy them name brand clothes (they don’t care about that yet…although, I’m sure it’s coming). We DO buy good food, have lots of medical bills and travel many miles back and forth to work and school; these aren’t negotiable. The frustrating thing is, there isn’t a lot of area to cut back on. Do we sometimes sneak in dinner out? Sure, but not often. Do I sometimes buy an unnecessary item or three at Target, yes. But there just is not a lot of scaling back to be done. Then, I think, “I need to get a better paying job/go back to school/become an extreme couponer/be better about watching what I spend.” In the next thought I’m thrown into the spiral of how do people with very little income do this? How do they provide food, shelter, clothes, phones, electricity for their families?God forbid, what happens when an unexpected medical bill pops up? Then I feel guilty: when we inevitably have a surgery to pay for in any give year, we are able to make it work and still manage to have most of the things we want. And you, you selfish girl are having a full blown meltdown about a couch. What part of having a new couch and your pottery barn dreams come true will make your life better? You see, it’s not abut the couch, really. Do I really want a new couch? You bet your sweet bottom I do, but it’s about the juggling, the struggling just to keep up. It’s the what happens ifs that add up. It’s the feeling guilty for wanting things that you can’t have right now. It’s the feeling that the grass is greener (sort of) for some and not at all for others. You know what else it is: It’s that for once, I kinda want something to come easy. (Gasp) Yes. I want to be able to go get something because I want it. I want to do it now. I want it to be EASY. (in theory I could do this if I wanted debt, but I don’t so I won’t). But I want buying a couch to be EASY. I want things to be EASY. Sometimes, they are. More often than not they are easy-ish anyway. Pottery Barn, I’ve started a stash. 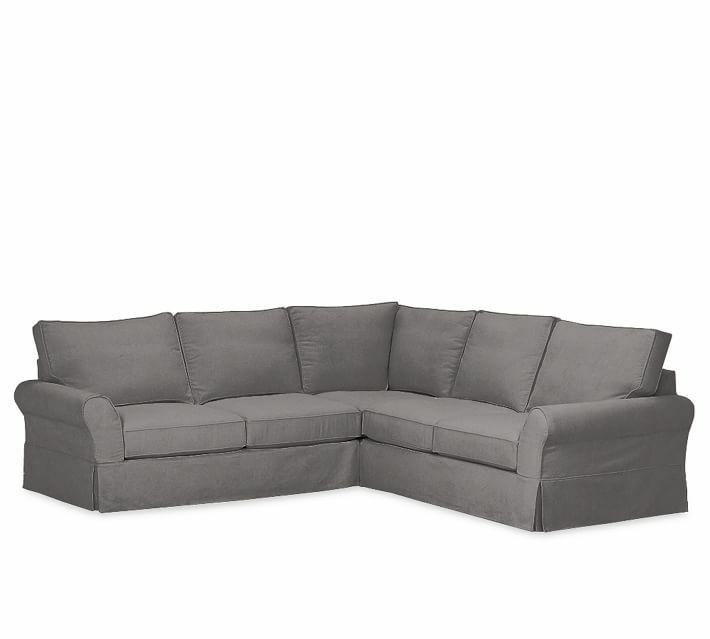 By the time I’ve saved for my PB Comfort SlipCovered 3 piece sectional, you will probably have discontinued it so my couch buying experience won’t be easy, but whatever.